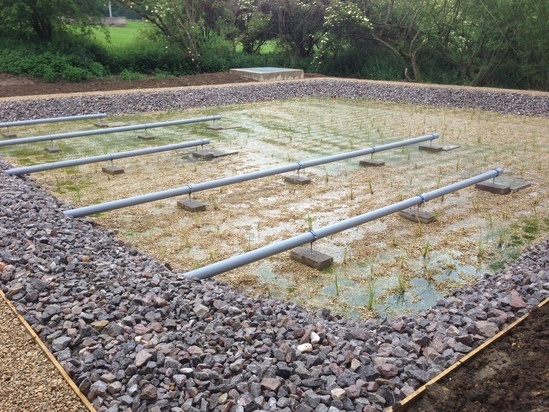 A preparatory school in Oxfordshire upgraded its sewage treatment system to a constructed wetland fitted with Forced Bed Aeration™, which works within the existing footprint, is environmentally-friendly and meets its sustainability targets. St Hugh’s school in Carswell, Faringdon had previously treated all sewage with a 20 year old system comprising septic tanks and a filter bed. The system had become overgrown and no longer fit for purpose. A tight discharge consent was set by the Environment Agency with the welfare of 300 pupils and 80 staff a primary concern. 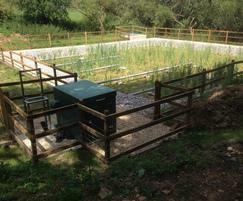 The school chose a new system incorporating two septic tanks and an aerated reedbed fitted with FBA technology. Alistair Hamilton, Bursar, explained: “It was important that the new system met a range of criteria set by the school. Not only did it need to meet standards set by the Environment Agency but it needed to be sustainable, cost-effective, require little maintenance and fit within the confines of the existing system. The new system includes a new septic tank taking a combined flow from the prep and middle school areas. Another new septic tank takes a combined flow from the upper school, manor house and workshop. Previously the workshop had its own septic tank and soakaway. As the school is outside urban boundaries, it does not have access to the main sewage network, so constructed wetlands are a viable solution due to advances in technology and treatment capabilities. “The headache for many schools is meeting consent levels. If they fail to meet these, costly fines will be imposed. The sewage treatment solution must be able to meet these tight consents and deal with the challenges that term time and long holidays throw at it,” say Tori Sellers, Director at ARM. “Over the past ten years, ARM has invested resources into providing solutions for a range of clients and the development of aerated reedbeds has opened up the possibility of using wetland solutions to treat wastewater for many businesses, including schools. “The requirement is nearly always the same – a need to reduce BOD and ammonia concentrations in the water before it enters the local watercourse. “The difficulty with schools is that volume of wastewater varies over the course of the school year therefore aerated wetlands provide the ideal solution as the energy required for the aerated element can be switched on and off to meet demand, reducing energy costs. “Ammonia requires oxygen to complete the removal process. Once the oxygen is used up, the ammonia removal process stops In comparison to a passive wetland, an aerated bed can be up to fifteen more times effective by ensuring the system isn’t oxygen limited. “With this increased treatment capacity, aerated wetlands have a smaller footprint so take up less space than a conventional wetland. 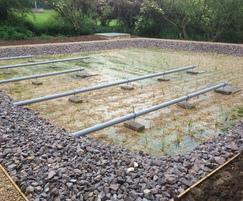 “Schools have limited budgets and if they need a solution which hits sustainability targets, reduces operating costs and requires little maintenance, then aerated wetlands is the only solution,” says Tori.